That being said, first time users make plenty of mistakes when using the platform. Instead of learning from them, I’m going to help you avoid them altogether. 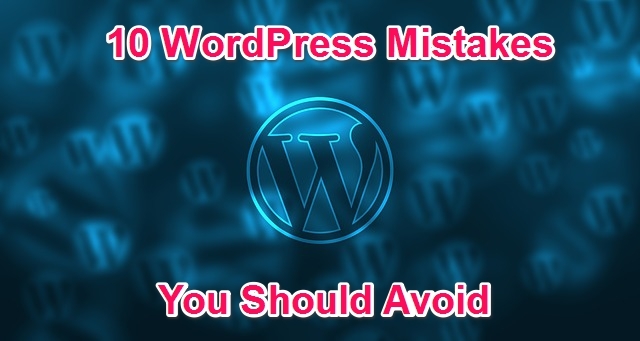 Today we’re looking at 10 mistakes WordPress users should avoid. Since WordPress was launched, the software has been updated over twenty times, and that’s not stopping anytime soon. This updates do more than just polish the platform and improve stability. In many cases, they also plug any security leaks or vulnerabilities that have been found since the last update. Ignoring your updates can leave your website vulnerable. If you keep up with them, they’re not hard to install. Usually it’s just a couple clicks and you’re done. Provided your theme and plugins are all up to par, nothing will go wrong and your site will be safer as a result. WordPress.com – this is the free blogging platform version. Here you can set up a blog in mere minutes and for zero cost. It’s a great way for beginners to get their feet wet, but it doesn’t offer total control of your website and its success. WordPress.org – This version of WordPress is the open-source software used by countless self-hosted websites across the internet. Many hosting providers will offer one-click WordPress installation. That would be this version of the software. It’s important to know the difference between these two types of WordPress, especially given your ultimately goals for your website. You can save yourself a lot of time by choosing the correct version. Your website’s speed is tied directly to your success. A slow website will cost you visitors and plenty of money in the long run. One of the easiest ways to ensure your WordPress blog is running at optimum levels is to install a caching plugin. My personal recommendation here is W3 Total Cache. This plugin is extremely easy to use and very powerful. Once you’ve installed and activated it, the software goes to work. It helps users access your pages faster and drastically reduces load times. Not having something like this is a major mistake. While it’s not healthy to constantly worry about losing content on your website, it’s also not smart to remain unprepared for such a situation. Whether there’s a server crash, you accidently hit a wrong button, or a hack takes your site down, you should always have a backup. If you’re using the free WordPress platform, you can backup your site by going to your tool page and selecting “export” in the dashboard. The self-hosted version of WordPress offers services and plugins. BackupBuddy is the one I use, but there are several options. When you’re choosing your domain, you’ll find plenty of advice telling you to keep things simple and easy to remember. This same practice extends to your permalinks so people (and search engines) can find your pages easily. The default link structure in WordPress is a nasty combination of symbols and numbers. It’s not great for SEO and it doesn’t do your users any favors. Go into your settings, then to “permalinks” to change this. You can opt for a different structure here. I personally use custom permalinks with keywords to improve SEO and the user experience, but anything is better than the default. 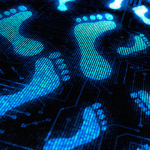 If you never track your website’s performance, how will you know if you’re growing? Furthermore, improving aspects of your marketing or social media can’t be done if you don’t have data to go on. This is where a tool like Google Analytics is extremely important. Using analytics, you can track the traffic your website receives, where they came from, and how long they stayed. This is just the tip of the iceberg too. Just about any major decisions you make or questions you ask about your site can be answered by an analytics tool. Installing Google Analytics on your site isn’t very difficult, and it will give you incredible insight into your performance. When WordPress is originally installed, the username for your login will be simply “admin.” This is true of any and all users until they change it. For hackers, this will be the first username they guess and it will get them halfway to cracking your website wide open. When you’ve finished setting up your website or blog, head into your settings and change this username. Preferably you should use something with numbers and letters and not something directly related to your name or your business. The Favicon is a small, but crucial part of your website’s image. When you look in the tabs at the top of today’s web browsers, the Favicon is the image associated with your site in the tabs. By default, this icon is typically something from your theme or hosting provider. In the interest of looking completely professional to visitors, you should create a favicon using one of the many generators available online. After you’ve created one, you can upload it in the images area of your theme to replace the current one. Uploading and posting images on your blog posts is great, but if you forget to optimize them, you’re missing out on some serious SEO opportunities and possibly even slowing down your website. Compressing images will ensure that they don’t take too long to load on your pages. You can do this automatically with the WP-SmushIt plugin. 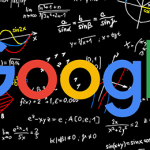 Once you’ve uploaded them, make sure you give them an appropriate title, description, and alt-text which describes the image to search engines. With over 30,000 plugins to choose from, it’s easy to understand why people go a little crazy downloading and installing them. It’s important to remember that not all plugins are created equal. When you’re choosing plugins, make sure they come from reputable sources that have plenty of reviews and consistent updates. Furthermore, if you notice your website running poorly, take a look at what you have installed and remove any plugins that aren’t absolutely needed. WordPress is a phenomenal platform, but it’s still easy to make mistakes when you’re first starting out. Keep this article handy as you enter the brave world of the internet and avoid these potential mistakes. Which WordPress mistakes would you recommend others avoid?